When it comes to treating or heating ferrous metal products to increase their toughness, Tempering Ovens come to use as these are used for the tempering process. Meta Therm Furnace Pvt. Ltd is one of the trustworthy Tempering Oven Manufacturers in Mumbai, and our products are ideally designed as per the tolerance power needed in a particular application. Our range is available at industry leading prices and is available in different configurations. 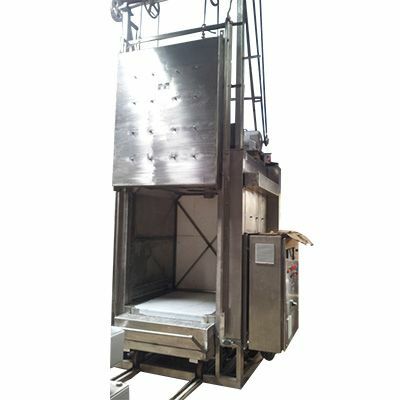 This Electric Tempering Oven has a rigid body to prevent any environmental damages. Be it Glass Tempering Oven or Metal Tempering Oven, all its types have the ability to work in different temperatures and challenging conditions. Working with them is easy and can be done by even a non-tech person. They have high-temperature tolerance ability and their features are exceptionally worth applauding. If you are interested to buy this or any other type of industrial oven, you can send us your requirements via email or calling on the given numbers. Being one of the noteworthy Industrial Tempering Ovens Exporters and Suppliers In India, we will take care of the quality and performance of our products, and provide timely delivery.